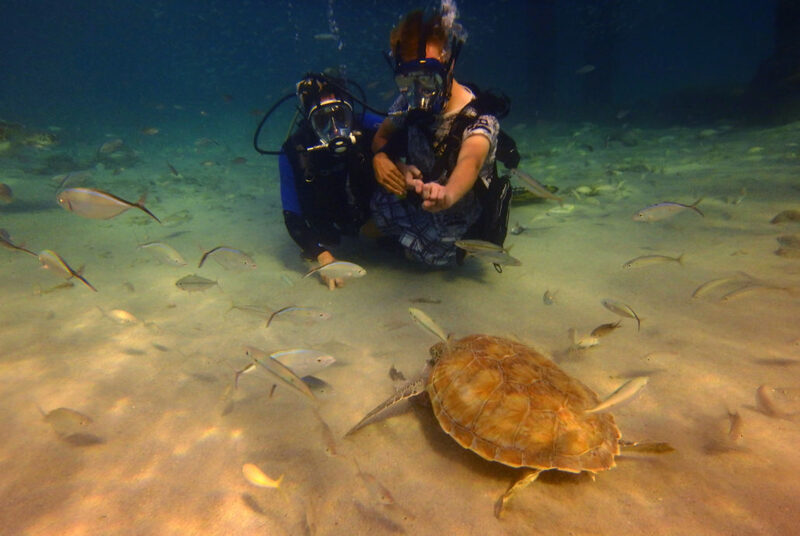 Physically challenged, but still diving is a possibility. Recently we got a request to go diving with a physically challenged man. Due to his spasm he would not be able to dive with a conventional mask and regulator, simply because he would not be able to hold the regulator in his mouth. Luckily with the help of our new OCEANREEF Integrated Dive Masks (IDM) we were able to help him out. Because this masks covers the whole face and has an integrated regulator you can breathe through your nose and mouth which makes it very comfortable. No water can enter the top compartiment of the mask, so you never have to clear your mask either. On this specific dive 2 instructors went with the physically challenged man. His caretakers helped him in the water where the instructors took over. We stayed very shallow, but were lucky because several turtles were eating and didn’t care about us hovering around them. After about half an hour it was time to go back up, and tell the caretakers how much fun we had! 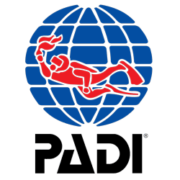 We are very happy with our IDM’s, in the short period we have them we already were able to help out a lot of people who otherwise would not be able to dive. Not just physically challenged people, but also people who are just afraid to get water in their masks or have difficulties clearing them and therefore choose not to dive. Besides this it’s also just fun diving with an IDM!!! 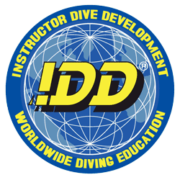 For more a DSD or guided dive with the OCEANREEF IDM, or even the specialty course, contact us and we will answer asap. Note: Of course the IDM is not the solution for every physically challenged person, but there are always other options as well. We are always doing our best to find the solution that fits you best!